Are you ready for wildlife? 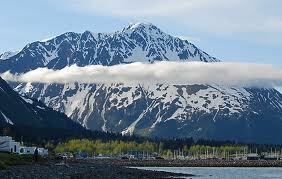 Then get ready for a smiling guide to pick you up and head south of Anchorage along scenic Turnagain Arm. Here where the Chugach Mountains meet Cook Inlet we’ll keep an eye out for Dall sheep, mountain goats, moose, eagles, and more. Our destination is the Alaska Wildlife Conservation Center where we’ll experience bears, musk ox, moose, elk herd, a caribou herd, and more Alaskan wild animals - these are our animal friends you are guaranteed to see! These wild animals are right at home in their 200-acre habitat. Even the once thought to be extinct wood bison make for a picturesque photo with the amazing backdrop of the Chugach Mountains and Turnagain Arm.